Join the presenters of ‘The Skeptics Guide to the Universe’ podcast for their one-off London show. Join the presenters of ‘The Skeptics Guide to the Universe’ podcast for their one-off London show. 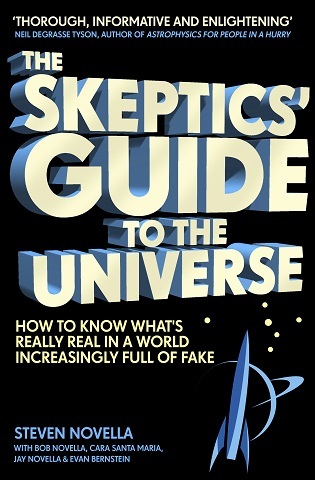 Steven Novella, along with ‘Skeptical Rogues’ Bob Novella, Jay Novella and Evan Bernstein explain the tenets of skeptical thinking and debunk some of the biggest scientific myths, fallacies and conspiracy theories (anti-vaccines, homeopathy, UFO sightings, and many more.) They’ll help us try to make sense of what seems like an increasingly crazy world using powerful tools like science and philosophy. In what promises to be a fascinating and entertaining evening, come and hear tips and tricks on how to see through the fake news and media manipulation in our increasingly confusing world.